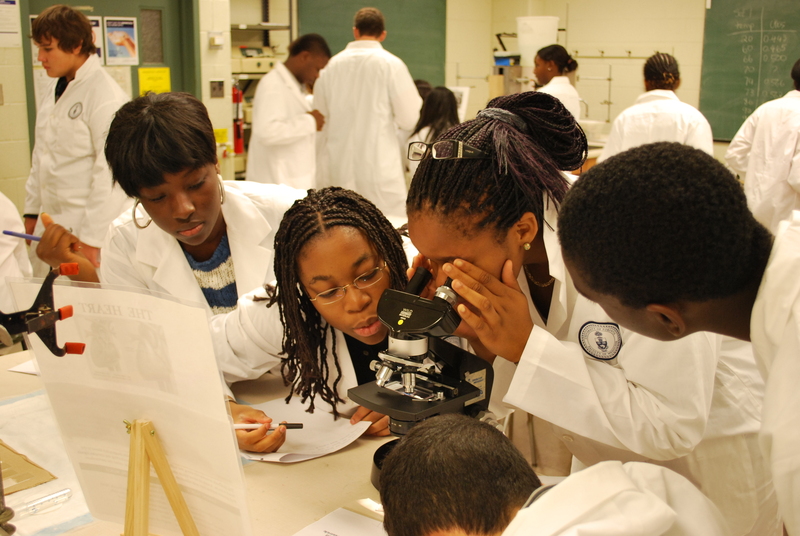 The Young Scientist Programme focuses on Primary and Secondary school students in Africa. Its an outreach programme that ensures students identify and pursue the Higher Education opportunities that are available to them. It’s also designed in a way that encourages students to think about science and how it can be used to make their environment and community a better place. The goal is to inspire, empower and foster innovation among young women before they get into University. This programme is for students aged 14-18 in secondary schools across the continent. It gives young people the opportunity to see how science works in the real world, tasking them with planning and running their own public health investigations. Students spend 1-2 weeks and work in pairs to devise a hypothesis, conduct some original research and prepare a presentation for an open scientific seminar on their final day. Designated members of staff are responsible for students, and volunteer mentors support their day-to-day development of their research plan and methodologies.